Bummer! I just came back from a trip to Paris and noticed that I just lost that screw in eyepiece. To make a long story short: I need a new eyepiece (0 correction). Does anyone in the forum who bought a corrective one, wish to sell me his original eyepiece? I'm in Switzerland (for shipping costs). i lost mine too. didn't even notice until weeks later. i don't wear glasses so is there any harm in not replacing the eyepiece? The equivalent Nikon part is called "FM3A/FM2/FA/FE2 Eyepiece" and consists of a black rubberized, threaded ring which holds a coplanar (flat) piece of glass. 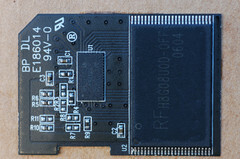 The Nikon UPC No. is 018208 02925. It should be fairly easy to find in the net. I recently lost my original eyepiece too (and could not find it again) - I was glad I had previously bought the above eyepiece for a DIY project. I'll keep it just in case - it seems the threaded eyepiece design is very much prone to loosening. You might call this a design mistake or very sloppy design. @jsirevaag - great suggestion, I'm going to do that with both the diopter and the soft release button. Slightly worrying that it's so easy to lose the diopter (and as per my earlier rants, Fuji aren't exactly helping with replacement parts) - I wonder if repeatedly pressing an eye to it causes it to loosen slightly? At least I now know it wasn't just my carelessness when I lost mine! @PraxisPictures - I dont know. I didn't worry when I lost mine for a few weeks, but someone on here pointed out it probably isn't a great idea to get too much dust in the finder. I have seen some used ones on eBay for about 20$; will get one of those. @PraxisPictures - indeed, I think the major issue is just getting the dust out of the viewfinder; I don't see any particular operation problem with the camera without the eyepiece. I think you will find that the Voigtlander diopters (r2 r3 etc.) will fit. Another for the lost eye price club. My camera is only just over 48hrs old too. Almost lost my eyepiece. Luckily someone saw it on the floor and asked if I knew what it was. Yep. Thats mine. Clear nail polish worked for me. Put just a touch (in 2 spots) on the diopter threads, screw it in tight, and it's good to go. No problems. I lost my diopter in week one of owning the camera. So I emailed Fujifilm UK asking for a replacement diopter and they have apparently (after many weeks) just posted me a free replacement part. Fingers crossed! 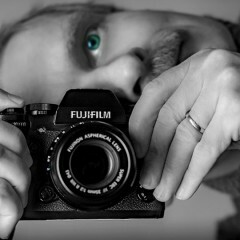 It arrived today - credit to Fujifilm. @Douglas - wish I'd tried that! I paid them around £20 for a replacement. Never thought to see if I could get one gratis! I lost my diopter on a backpacking trip earlier this week. Called Fuji Service Canada and they are sending me a replacement in the mail. Gratis. Yesterday, I received the first original Fujifilm diopter correction lens. wex in norwich sell the fuji diopter lenses for around 15 gbp. i find the image vanishes in evf on both the xpro1 and my xe2 in bright sunlight. taking my glasses off helps apart from i now trip over everything. has anybody found an eyecup which takes the diopter correcting lenses? i gather the old nikon film series with the 19mm thread might work. has anybody actually tried one? Right, so I never really understood how things could fall off cameras without being noticed. But now that I look at my X-Pro 1 and it is missing the standard mounted diopter! No idea how it went missing! Or could it be that one of you guys have one of these lying in a drawer?